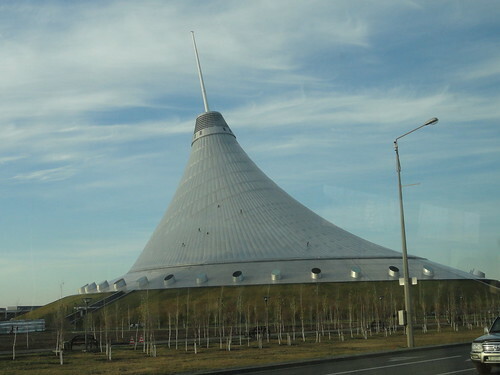 World's largest tent and the tallest tensile structure is the Khan Shatyr (or Shatyry) Entertainment Centre in Astana, Kazakhstan. 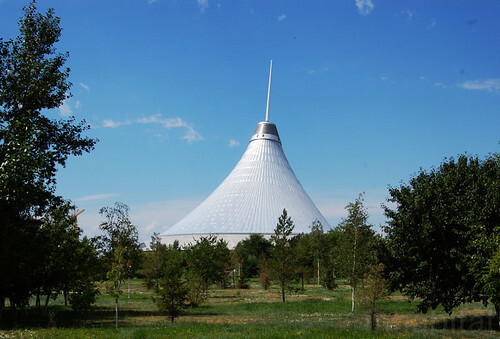 The tent shaped structure is 150 metres tall with an elliptical base of 200 metres and covers a whopping area of 140,000 square metres - almost as large as the area of 10 football stadiums. 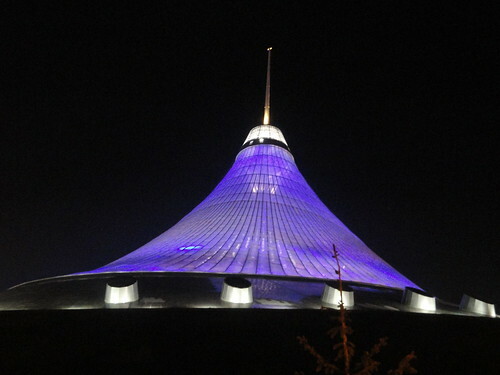 Designed by UK architect Norman Foster (of Foster and Partners) the complex opened on July 6, 2010. Besides containing shopping and entertainment centre, the tent also encloses a small internal park, town squares with cobbled streets, mini golf course, a boating river with indoor beach resort. The tent is made of Ethylene Tetra-fluoro-ethylene (ETFE), a special transparent plastic which not only has a high strength but is also corrosion resistant and can withstand wide temperature ranges. 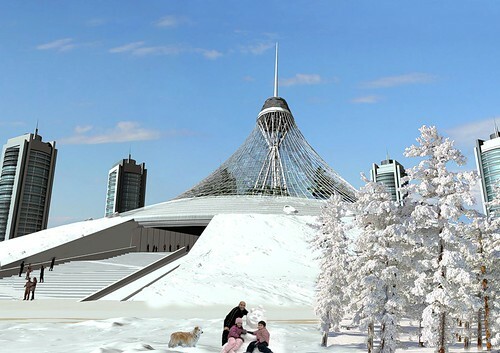 The temperatures in Astana varies from 35°C in summers to - 35°C in winters. 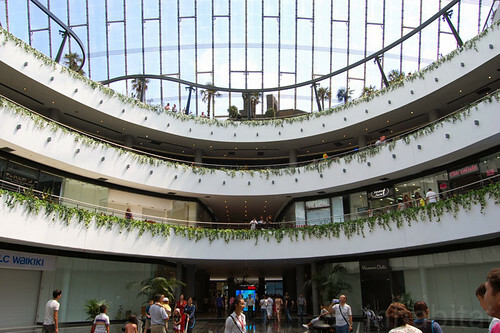 The transparent material allows sunlight through which, along with central weather control, maintains an ambient temperature of 15-30°C within the enclosure and a temperature of 19-24°C within the shopping and entertainment area. I though it was a temporary one. 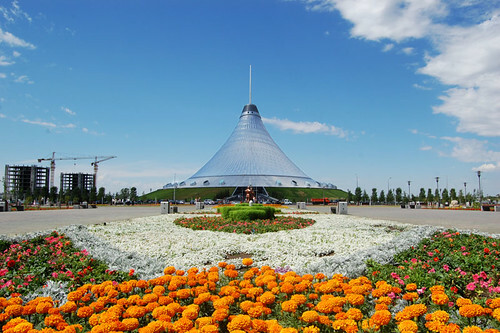 There is no boating river, no golf and there are no cobbled streets in the Khan Shatyr. I live next door.